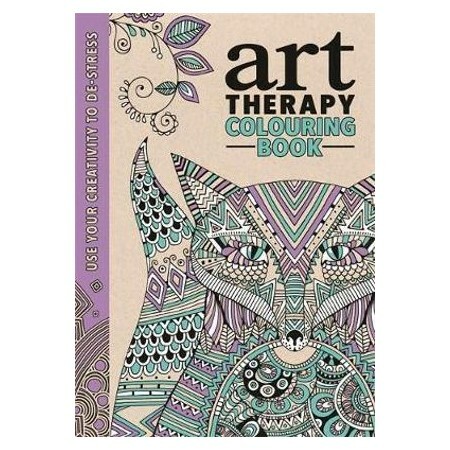 Readers can start to relax with this sophisticated anti-stress colouring, doodling and drawing book. Richard Merritt (Author) Born and bred in North London, Richard Merritt has been an illustrator for over 10 years after graduating from Central Saint Martin's college of Art and Kingston University. Richard has been lucky enough to work with many book and editorial publishing houses, design groups, advertising agencies and more, on lots of varied projects, from children's books to packaging and magazines to costume illustration for film. He thrives on creative briefs and is always open to new and exciting work!Hannah Davies (Author) Hannah Davies is an award winning Welsh based freelance designer and illustrator. She is a fine-detail Surface Pattern Design specialist who draws on her love of nature for inspiration, producing intricate work rich in texture and colour. Combining illustrations and pattern design, 'I use my imaginative and detailed hand-drawing as a starting point. I then develop this using my own vibrant watercolours and collage techniques creating quirky stories and inspiring patterns'. Hannah has worked with many design companies from all ends of the spectrum contributing in design, publishing and advertising.Cindy Wilde (Author) Cindy Wilde makes simple, joyful, quirky designs using bold graphic shapes and blocks of flat colour combined with areas of intricate pattern. All the elements within her work are made by hand using acrylic paint, indian ink and simple print techniques. They are then cut and reassembled to create the final piece.